Today I am sharing a project I created for this week’s new SOUS(Stuck On You Sketches) Die Cut Challenge. 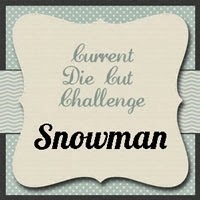 The challenge this week was to include a snowman on your projects. So here is what I came up with. I made this super cute layout with lots of cute snowmen. I used the Pile of Fun Snowmen Layout Cut File Set from PaperCraftingWorld.com to create this project. Here is a closer look at the cute little “pile” of snowmen. Here’s a closer look at the little snowmen toppers. I did make a small amount of kits out of this. So if you’re interested, you can head over to page-kits.com and pick one up. Here is this week’s FREE SVG Cut file. To go and download for free from now until 1-16-14. Please note the file shows a price of .99 but there will be no charge during this free period. Now there are no excuses, you can join in on the challenge! Be sure to head over to SOUS and check out what the other designers have created! You will be glad you did! You could also win some great blog candy! As always, thank you so much for sharing your crafty time with me. Be sure to stop back by as I will be sharing some more fun projects! OMGosh Melin....what an adorable layout, just fabulous...love it! Such adorable and cute snowmen ! Perfect , cut and fun layout ! So cute! Love the stacked group to pieces. Just adorable. I LOVE the pudgy look of those snowmen!! Your extra details to the die cuts really adds to them as they are so DARLING! I love these little guys! What a great layout!! Cute cute cute stacked snowmen! You did a fabulous job on the layout! Awww, I am loving these snowmen all stacked up on this layout! What a cute, cute layout Melin, but then you always do such a fabulous job on your layouts! Hugs! What an adorable and fun layout!!! Love the snowmen! Thank you so much for the cutie snowman! !